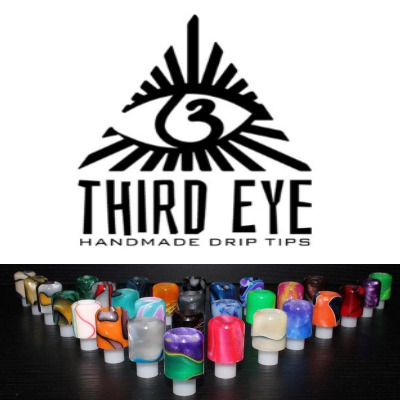 Third Eye Driptips makes custom, USA made, drip tips for RDA/RBA. Tips are handcrafted for a 510 thread. Acrylic Wide Bore Friction Fit Custom Driptips. Due to the wide variety and colors, only available for pickup at Indy Vapor Shop.